Profhilo is a new facial filler which is in fact used for skin tightening and tissue remodeling. Like a traditional facial filler Profhilo is made of Hyaluronic acid (HA). But unlike traditional fillers it is a highly purified natural hyaluronic acid which does not contains chemicals to stabilise the product. Instead it is an hybrid complex formed with a high molecular weight HA combined with a low molecular weight HA. What is the difference with classic facial fillers ? 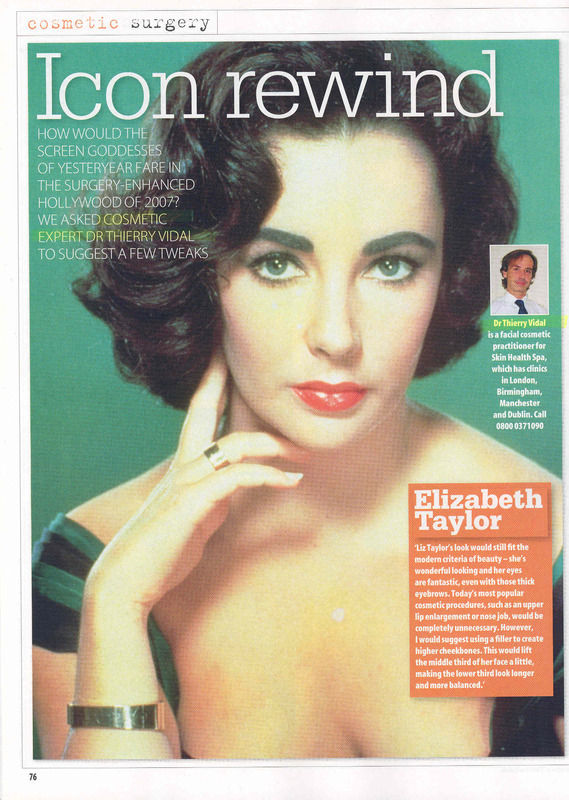 It is not a cross-linked product like Restylane or Juvederm and does not work exactly like a “volumiser” filler. Profhilo stimulates the collagen and elastin of the skin. This is why it is unique as a bio-remodeling agent. 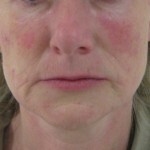 Its clinical effects have been described as “plumping effect, lifting effect, soft tissue treatment or skin tightening”. The hybrid nature of this “facial filler” results in a slow and long lasting release of a natural HA (hyaluronic acid). The effects on the skin combine a “Hydro” effect ( hydration) and a “lift” effect (collagen and elastin production). Where does Profilho sit in the facial filler anti ageing arsenal ? Profhilo does not produce volume like Sculptra (another collagen stimulator) or your usual facial filler but it allows to very safely rejuvenate difficult areas such as the neck, the forehead or even the hands with minimal side effects. Due to its very nature Profhilo will easily distribute itself and spread through the tissues without causing any bumps or unevenness. The neck and the forehead are tricky areas not accessible with a strong product like Sculptra and are very difficult to address with classic facial fillers because of the risk of visible long lasting bumps and unevenness very high in these areas. Profhilo will simply flow through the tissues and activate a long lasting bio remodeling process at a superficial level in the dermis . Of course you can get very good skin tightening and bio remodeling with deep peels such as TCA peels or Phenol peels. You can also use lasers for skin resurfacing. But these techniques are very aggressive with a lot of downtime and much higher risks such as bad scarring or hyper-pigmentation. They are certainly not cheaper either. These reasons make Profhilo a very simple, safe and elegant way to address skin laxity. How a Profhilo treatment is performed ? Profhilo is an European product made in Italy by IBSA Labs. The recommended protocol is two sessions 1 month apart. Each session consists in the injection of five points called bio-aesthetic-points or “BAP”. 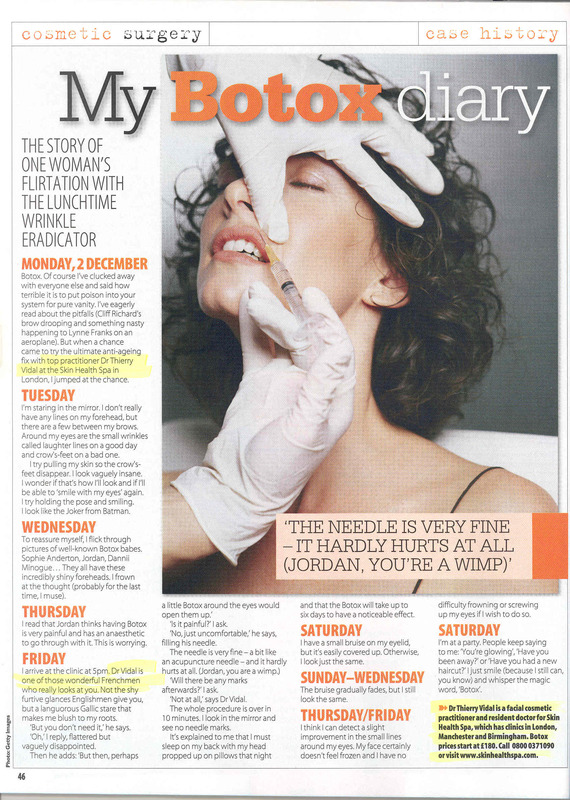 Of course it is the job of the aesthetic doctor to determine where the optimal points should be for the best outcome. Each injection is a small bolus of 0.2ml so 1ml is injected on each side of the face or the neck. 2ml in total. Local anesthesia is not required but can be used. 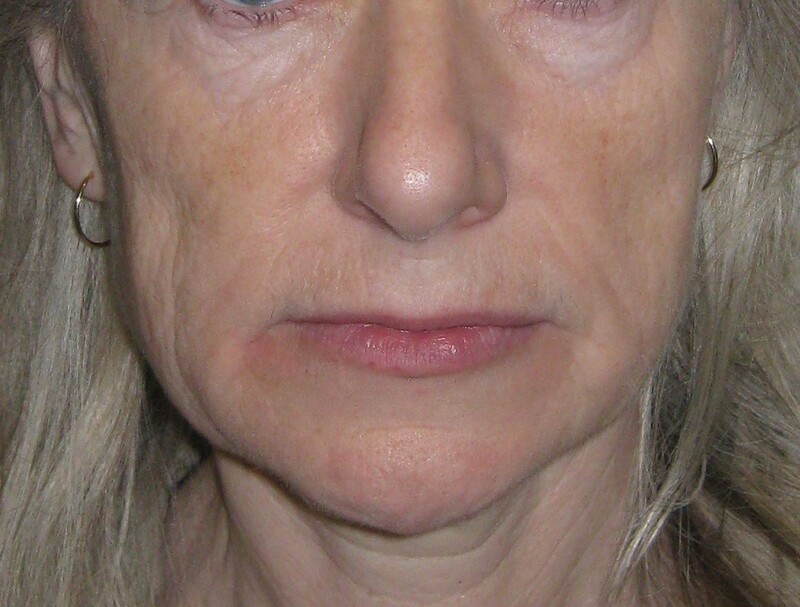 This entry was posted in best botox doctor london, loss of facial volume, skin tightening and tagged Advanced filler doctor london, cheek filler, facial filler, facial volume loss, temple fillers on by thierry. Why using Temple Fillers ? 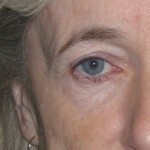 Hollow temples are a cardinal sign of ageing but fortunately it is easy to address this issue with temple fillers. On the two pictures below it is easy to see that the correction with temple fillers reopen the eye by giving support to the eyebrow. Also, the shadow area has disappeared and now the temple is convex. This means a much better light reflection. The whole area looks much healthier and younger. 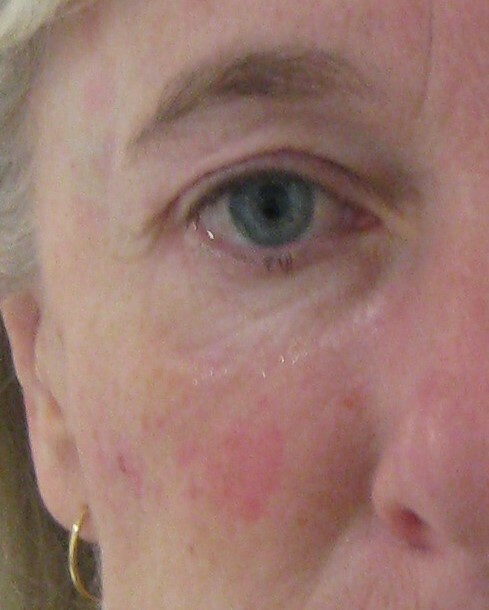 After temple fillers and under eye after correction.Dr Vidal. Fat can give good results but it is definitely not very practical to use, the harvesting and preparation is difficult and the re-injection is a bit traumatic meaning lot of swelling, bruising and downtime for the patient. 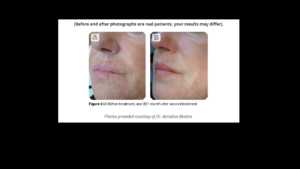 For these reasons we use either sculptra or juvederm. The choice is a question of strategy and costs. The temple area is sometimes very hollow and deep and a large volume may be required for the correction. It is also common to have different areas ( temples, mid-face, chin) to correct during the same session. 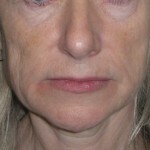 For these patients we recommend to use Sculptra because it will allow more work than a simple syringe of juvederm. On the other hand, when the volume needed is not very important and when more superficial work is needed ( to lift the eyebrow for instance) we will recommend a Juvederm filler such as Voluma or Volift. A topical anaesthesia with Emla cream is used for a better comfort, less bleeding and a more precise correction. Aesthetic and Cosmetic Doctor. Marylebone London. 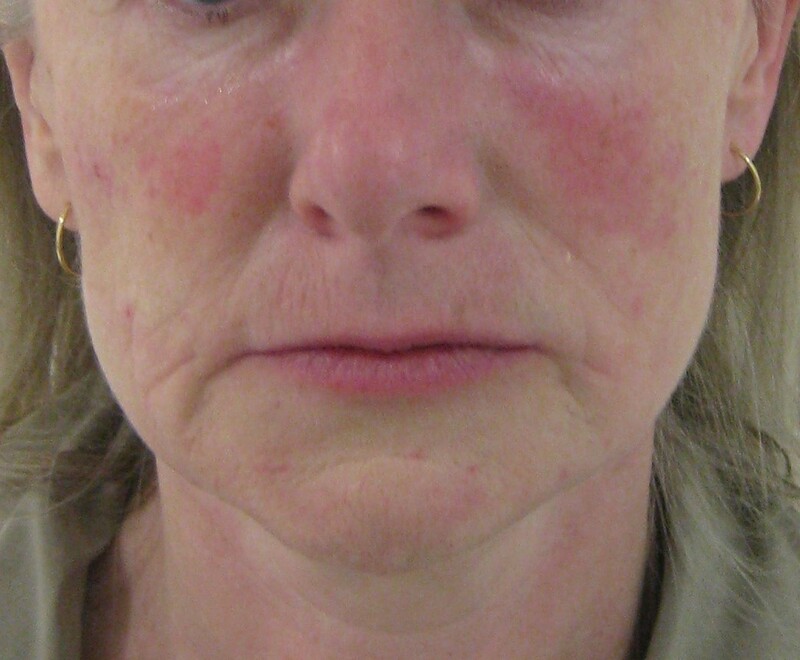 This entry was posted in loss of facial volume and tagged Advanced filler doctor london, facial filler, facial volume loss, temple fillers on by thierry. Cheek Filler, Volume Filler, Facial Filler, What to choose ? Cheek filler, Volume filler ? Plenty of fillers are available, cheek filler, lip filler, sculptra, voluma, implants, fat transfer, the list is endless. 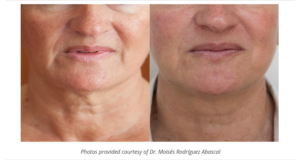 Loss of volume is one of the first signs of the facial ageing process. 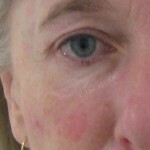 It can happen anywhere, cheek, temple, under eye area giving a tired, sagging aspect of the face. The correction of this loss of volume requires some experience from the practitioner. Not only you have to use the right product but you also have to inject it at the right location. As you can see on this picture the volume loss is quite global but a patient like this one will typically complain about her nasolabial folds (nose to mouth folds) and ask her doctor to inject these ugly deep folds with a filler. Doing so would be mistake and give an unnatural result because the volume would be added where it is not needed. 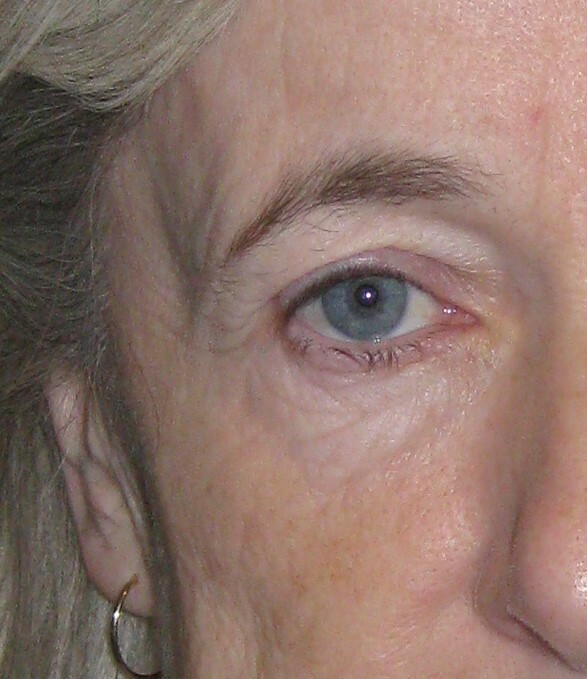 These folds the patient is complaining about are deeper and more visible because the loss of volume has occurred above them, in the midface. There is no more support for the skin and the midface simply falls down. The volume correction should therefore been performed there. What kind of cheek filler ? In this case, the loss of volume is important. It would require a very large amount of usual hyaluronic acid fillers ( juvederm voluma, restylane etc..) to achieve a good correction. This would be too expensive and not very healthy as a filler is nothing else than a thick gel pushing and compressing all the structures around it. When a large volume is required we prefer to use a poly-lactic acid filler (Sculptra). It is possible to address large areas at the same time and the filler will respect the surrounding structures. Because the obtained correction is very progressive and will create plenty of new collagen fibers the result will look very natural. This entry was posted in loss of facial volume and tagged Advanced filler doctor london, cheek filler, facial filler, facial volume loss, lip enhancement, lip filler on by thierry. NYL Clinic. Baker Street Station (Tuesdays) 10 Harley Street Clinic (Wednesdays and Thursdays) Please use the contact form.